Face it! Your style is unmatched carrying the Charlotte Olympia Roby clutch. 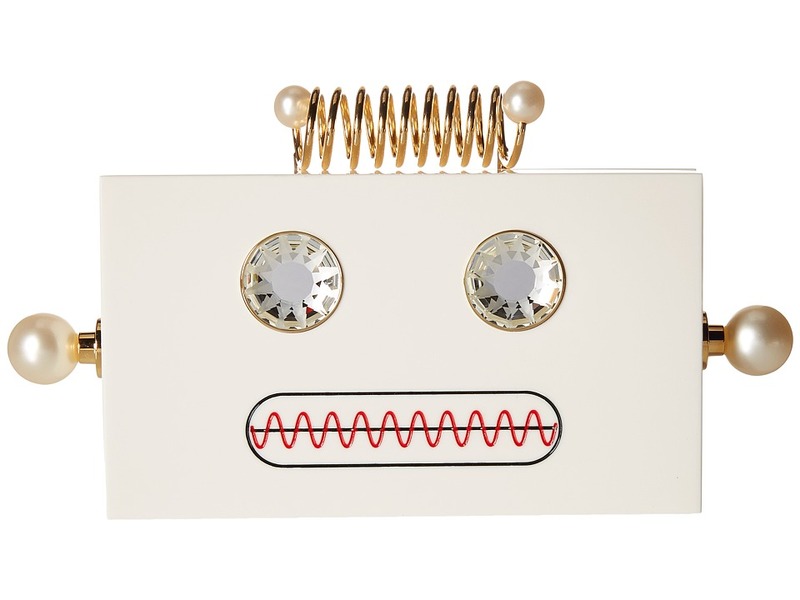 // Clutch made of 100% acryliC // Top magnet closure // Playful robot portrait detailed at front // Clutch features separate pouch with zip closure for interior // Made in Italy.